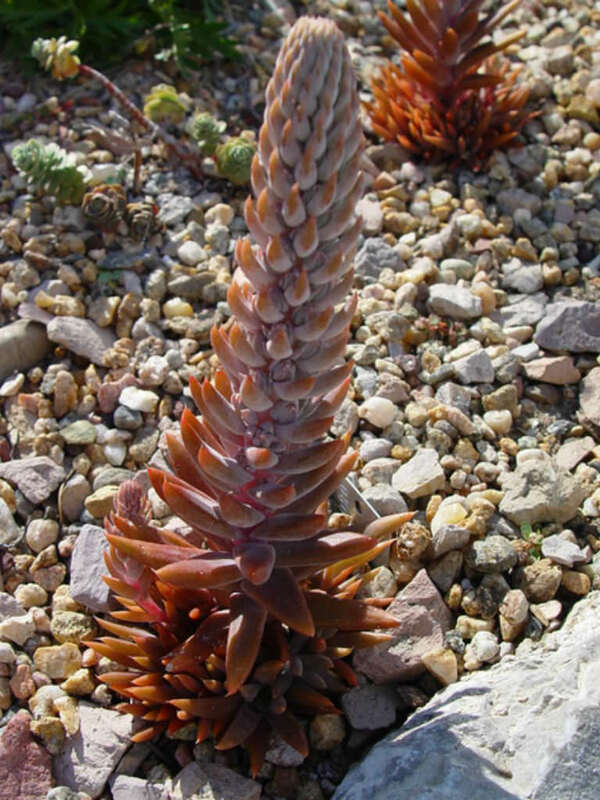 Orostachys chanetii is a succulent plant up to 12 inches (30 cm) tall, with silvery-grey foliage with red tones. The leaves are long and cylindrical. It blooms very late in October. 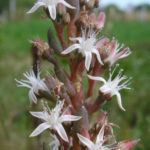 The flowers are small, white and pink, produced on stems up to 12 inches (30 cm tall, from the center of the rosettes. 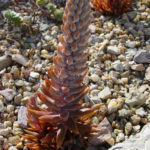 As with most similar genera of Crassulaceae family, this plant can survive in fairly poor soil, so long as it is well draining. 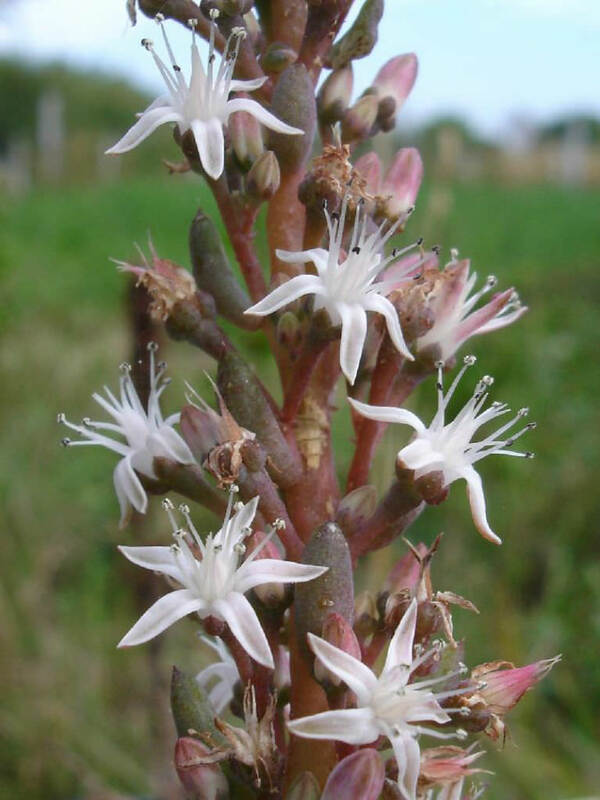 This genera is very cold-hardy and can survive temperatures to -30 °F (-34 °C). 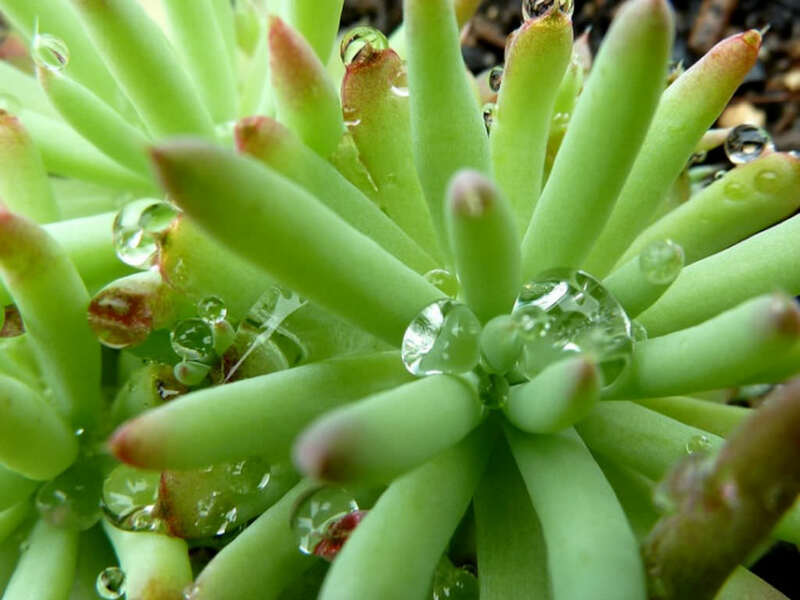 Allow soil to dry to the touch between waterings, and avoid getting water on the rosettes. Orostachys requires some bright light. This plant doesn’t tolerate high humidity well. It grows actively in spring and summer. 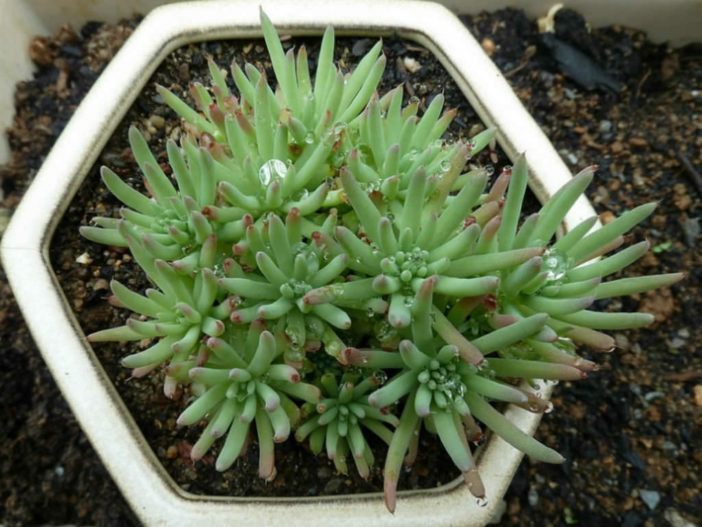 Orostachys self-propagates through offshoots and given time one plant will form a dense mat of many. 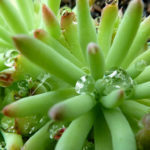 Propagation is primarily through offset separation. Orostachys chanetii is native to China.